Interesting in training your Rottweiler German commands? Well, yes, talented dogs are able to learn a new language if you know how to teach them. Whether you want to train your dog to follow new commands in German or any other language, it’s all possible thanks to the plasticity of the dog’s brain and its ability in making associations. To succeed in teaching your dog commands in a different language though you must make sure to follow an exact procedure carefully. The process is not arduous after all and it can actually turn out being an enriching experience. All it takes is some repetition and your dog will be soon on his way to assimilating the new command and responding to it as if he always knew it! When you want to train your dog a new command (or better, a new cue, so to sound less militaristic! ), you can’t just pronounce it and expect your dog to magically respond to it. The new command obviously has no meaning! 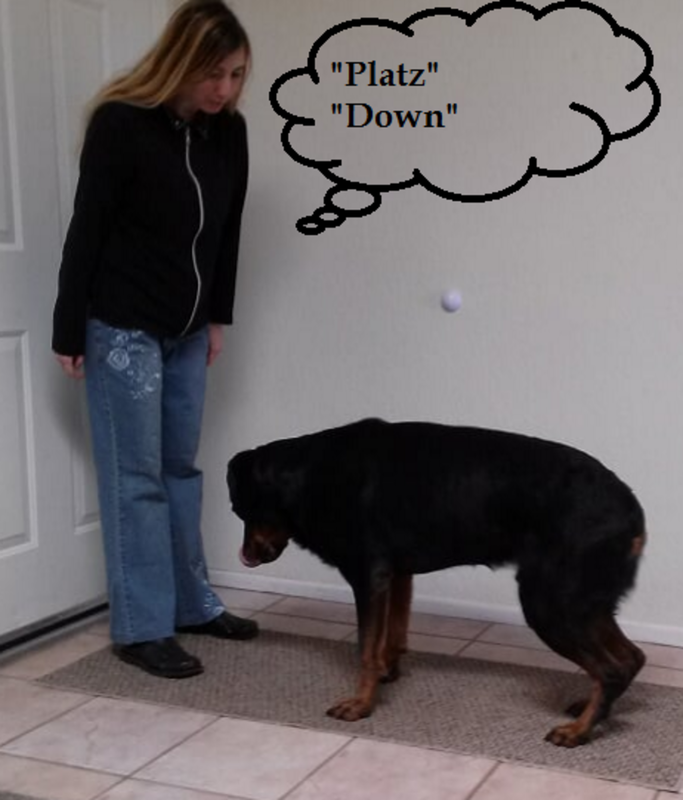 So if your dog knows the command “down” but you want your dog to learn the German command “platz”(pronounced “plats”), you need to help him out by informing him that platz has the same meaning as down. Of course, we can’t just literally tell our dog:”Hey, Rover, ya know? Platz is the German word for down, so when I say it, you must lie down.” So since people and dogs speak a different language, how can we inform them? Here’s a brief guide. Upon hearing “platz!” you dog will of course first wonder what you’re asking him to do, but soon, his puzzled face will fade once he’ll recognizes the familiar command “down.” When your dog lies down, praise and reward. After repeating several times, it’s testing time! Say “platz” by itself. Odds are, that if you practiced enough, your dog will lie down. When your dog lies down, make sure you praise lavishly and reward. If your dog doesn’t lie down, you may need to practice a little more and then re-try. You can try saying “platz” and then wait a second or two before saying “down” hoping that in that second your dog understands and lies down. Some dogs benefit from a more gradual fading process by progressively minimizing the old command. For example, you can say “platz” and afterward just whisper the word “down,” or make the word down shorter by saying only “dow” and then both whispering and making the word “down” shorter. Then, try removing the word “down” completely. Make sure to throw a party with praise and treats when your dog lies down! The process remains the same if you are training commands of any other language or if you just want to introduce a new command as in the case wanting your dog to respond to “speak” instead of “bark.” Make sure though that your dog responds reliably to the old command before introducing a new one! You can also follow the same procedure if you want to introduce new whistle training commands, by simply introducing a specific whistle tone followed by the old, familiar voice command. Generally, the more different the cues, the longer it takes for the dog to associate the new cue with the older cue. The hound in the picture had a quite solid recall after lots of training, but we thought to introduce whistle training so the owners could use it when the dog was at a distance without needing to call him at the top of their lungs. He overall learned fairly quickly, after several reps and lots of high-value treats! 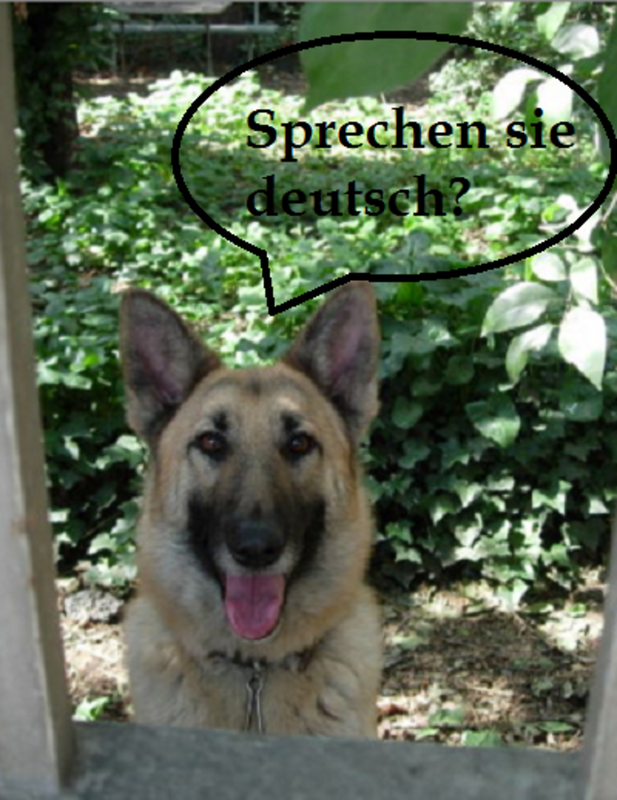 Why Train Dogs a Foreign Language? 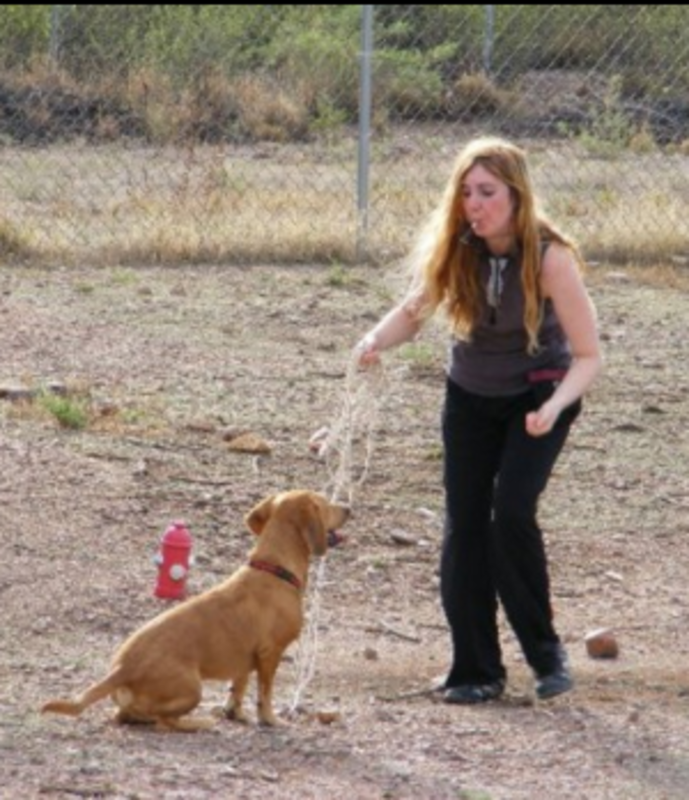 Why are many people interested in training dogs commands in a different language? Some people may simply like the sound of foreign commands, but there’s likely more to it. For instance, professionals may choose dog training commands in German for the simple fact that they’re unlikely to be used in their everyday conversations which can be confusing to dogs. Others may do so because they find it easier to just stick to an imported dog’s native language once the dog is abroad. When it comes to police dogs, many may assume that they’re trained commands in German or Dutch so nobody else can give them, but turns out this is a myth. Police dogs go through extensive training where they are trained to ignore commands from anyone except from their handler! So suspects can shout them as much as they want and the dog should turn a deaf ear. “Sitz“ is the German command for sit. 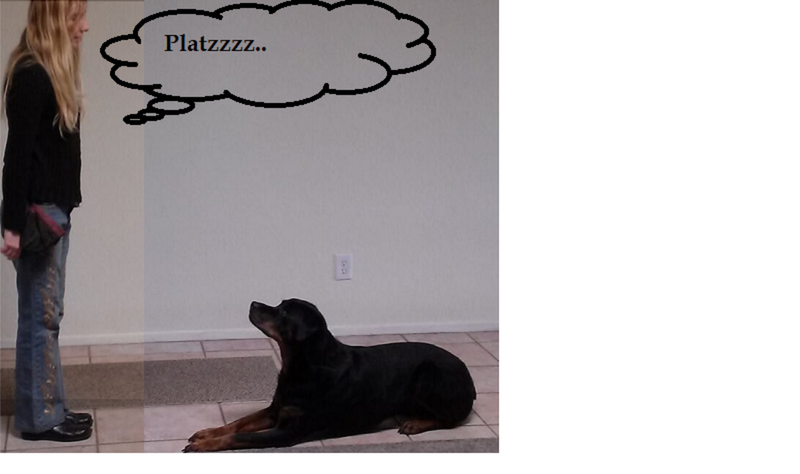 “Platz” (pronounced “plats”) is the German command for down. “Bleib“(pronounced “bly’b”) is the German command for stay. “Hier,“ (pronounced “hee er”) is the German command for here. “Gib-laut“ (pronounced gib-laout) is the German word for speak/bark. “Holen” is the German word for fetch.